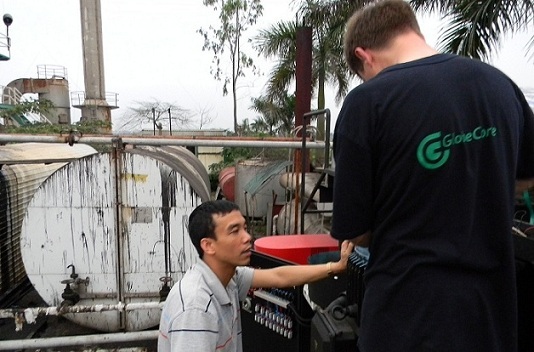 Vietnam’s bitumen emulsions modified by GlobeCore’s equipment - ! Equipment for Transformer Oil Reclamation. GlobeCore. In the beginning of May, a polymer bitumen modification plant UVB-2 was successfully commissioned in Vietnam. The order was made by one of the local construction companies. The UVB-2 is designed for production of modified bitumen. This includes polymer-bitumen binding, widely used in preparation of top layer asphalt-concrete, protective layers for concrete and cement surfaces, surface treatment of road top, preparation of bitumen-elastomer sealants and roofing materials.